Americans like to riot, for better or worse. Better when there’s a just cause, worse when it’s over sports, or pumpkins. With mass media though, a single burning gas station can be looped for hours, giving the impression of mass chaos, as was the case in Baltimore, when in fact that uprising was timid in comparison to, say, the LA Riots of 1992. Historically, America used to riot a lot more often than today. Usually it was over race, and most of the those were started by white supremacists like in 1943 Detroit. Others were labor riots stemming from strikes, usually after police would violently break picket lines, like they did in Chicago’s 1937 Memorial Day massacre when cops murdered 10 unarmed workers. 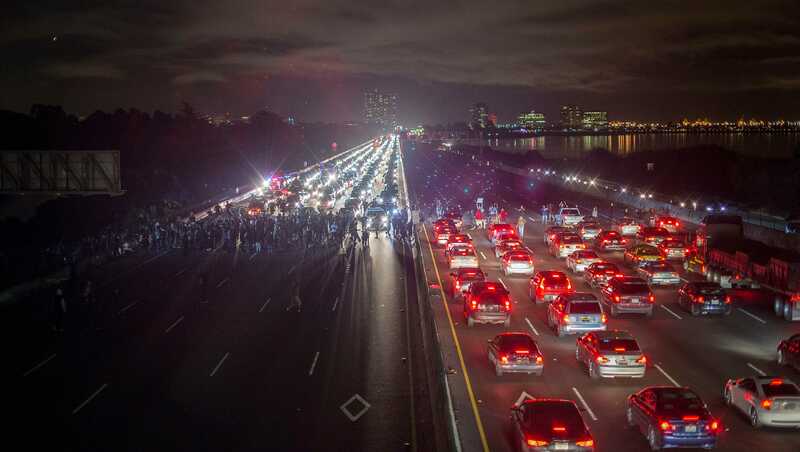 In recent years we’ve seen protesters, especially via Black Lives Matter, target the commercial chokepoints of urban freeways. Block six lanes in both directions on your typical 405 and you can bring a city to its knees. The same went for streetcars back in the day. From 1890 to 1930, streetcars were the dominant travel mode for the urban working class. Striking factory workers could block vital track lines in a city, effectively creating a general strike for an entire town by preventing all from getting to work. This was also an effective way of blocking scabs and other strike breakers from crossing picket lines. 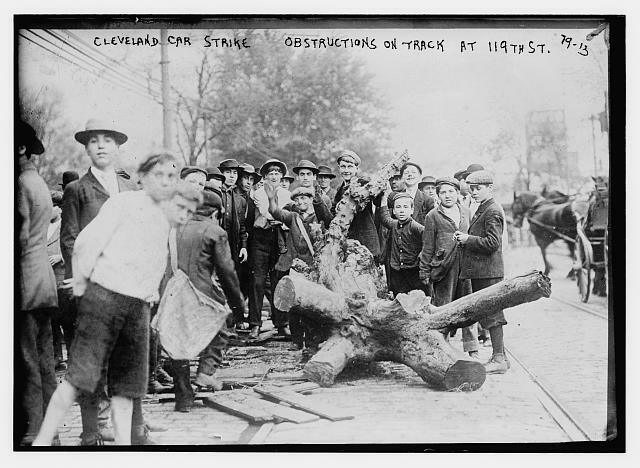 Cleveland streetcar strike, tracks blocked, year unknown. IT’S THE FALSE DICHOTOMY, STUPID! The argument goes something like this: ‘We recognize that the planet is dying, but jobs’. All of Australia is aflame due to climate change, but we must provide jobs. There’s so much smog in China that you can conceal a factory on fire inside of it, but the economy comes first, so we need job growth. The Columbia River Crossing will increase carbon emissions, additional lanes incentivize additional traffic, but cars make jobs happen. Coal exports through our region will poison the air and increase respiratory illness, but yeah, sorry…jobs. Ad nauseam we’re told that ecological devastation is unfortunate, yet unavoidable. The situation can’t be helped because somebody somewhere needs a job, and by God, no tree-hugging, job-killing regulations are gonna stand in the way! But isn’t this Oregon? – a state widely considered to be the most sustainable and progressive in the nation, teaming with trees and hippies and salmon? Not anymore, there’s a new sheriff in town. Oregon’s reputation as a Green stronghold is being seriously threatened by some otherwise fairly blue Democrats pulling the jobs card to endorse every bad policy that comes their way. Their argument is not only absurdly childish, but dangerously ignorant, and it’s time for it to end, for all our sake.